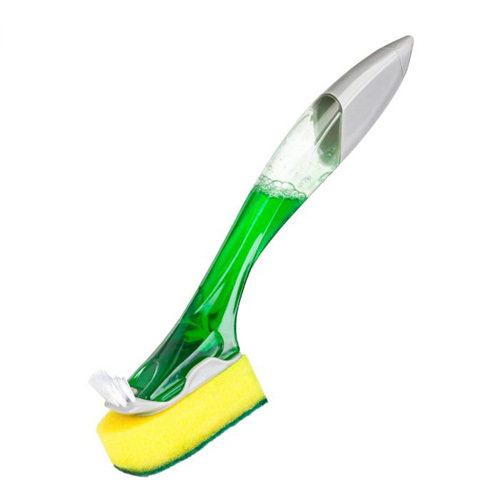 Minky fill and scrub liquid dish jet with scrubbing brush. Just fill the handle with washing up liquid. Triple action washing up solution.